1. I agree and acknowledge that I am fully aware that participation in the ‘Activity’ involves risks and I accept all the risks of participating, except our liability for fraud, for death or personal injury caused by our negligence, or for any other liability which cannot be excluded or limited under applicable law. 2. “Claims” includes but is not limited to any and all liabilities, claims, demands, legal actions, rights of actions for damages, personal injury or death in connection with participation in the Services. “Released Party” means Raising Kundalini, or any of its affiliates, franchisees and their respective representatives, directors, officers, agents, any instructor or teacher employees or volunteer staff. a. I am in proper physical condition to participate in or use the Services, and am aware that participation could, in some circumstances, result in physical injury, serious physical injury or death. b. if medical care is rendered to me, I consent to that care if I am unable to give my consent for any reason at the time the care is rendered. c. I am aware that it is advisable to consult a physician prior to participating in or using the Services. If I have consulted a physician, I have taken the physician’s advice. e. I will notify instructors immediately of any pain and/or major discomfort felt during any activity. 1. I accept full responsibility for any product or technology loaned to me as part of participation in or using the Services and commit to return the same in good working order. 2. I hereby, for myself and for my heirs, next of kin, executors, administrators and assigns, fully release, waive and forever discharge any and all rights or Claims I may have, now or in the future, against any Released Party, except our liability for fraud, for death or personal injury caused by our negligence, or for any other liability which cannot be excluded or limited under applicable law. Without limiting the foregoing, I further release any recourses which I may now or hereafter have resulting from any decision of any Released Party. 3. I agree not to sue any Released Party for Claims I agree to indemnify (reimburse for any loss) and hold harmless each Released Party from any loss or liability (including any reasonable legal fees they may incur) defending any Claim made by me or anyone making a Claim on my behalf, except our liability for fraud, for death or personal injury caused by our negligence, or for any other liability which cannot be excluded or limited under applicable law. 4. I am aware that there is no obligation for any person to provide me with medical care during any activity. I understand and acknowledge that there may be no aid stations available for the activity. 6. No warranties or representations have been made to me about the Services which are not stated on this form. I understand and intend that this document act as the broadest and most inclusive assumption of risk, waiver, release of liability, agreement not to sue and indemnity. 7. From time to time, any Released Party may offer inducements to prospective and existing customers to attract business or to increase their business. These offerings may be limited to certain dates and time periods, physical locations, or service types and quantities. The offers may be withdrawn at any time without notice and without any recourse to the Released Party. 8. If any provision of this agreement shall be unlawful, void or for any reason unenforceable, then that provision shall be deemed severable from this agreement and shall not affect the validity and enforceability of any remaining provisions. 9. From time-to-time we may revise these terms and conditions. Please review our website pages regularly to ensure you are familiar with the current version. 10. The scheduling and content of activities may be changed on occasion. 11. You agree that you will only access, use or print any of the Site’s contents for your own personal and non-commercial use and not for any commercial or other purposes, including advertising or selling any goods or services. You must not reproduce, duplicate, copy, sell, resell, visit, or otherwise exploit our website or material on our website for a commercial purpose, without our express written consent. 12. The entire content of these web pages remains our property and is copyright with all rights reserved. 13. Please be aware that if you are more than 5 minutes late for a class, you may not be able to participate out of consideration for the instructor and other members, and also for your own safety (the warm-up is an important aspect of each class). 14. If the class is full, you may sign up to a waiting list from which you will be automatically allocated to the class if another person cancels. You may remove yourself from the waiting list at anytime but once automatically allocated to a class for which there is less than 24hrs until class, you will not be able to cancel without forfeiting payment of the full class fee. 15. Cancellations made by you with less than 24 hours’ notice will be charged in full. Should you not be able to attend your class you must notify us by calling 07963 716980 more than 24 hours before the start of your class. b)Single Class Purchases – if you cancel more than 24 hours before the start of your class your purchase will be credited to your account and you may use this credit for another class of the same type within three months. c)Series Purchases – if you cancel more than 24 hours before the start of your class your purchase will be credited back to your class series and you may reschedule another class for as long as the series is valid. 16. Transferal of Credits Class credits are not transferable to another person unless permitted by Raising Kundalini Management under exceptional circumstances. (6) requests by law enforcement or other government agencies. You agree that we will not be liable to you or to any third party for termination of your access to the Site. 18. Health & Safety Disclaimer a) All clients must fill in our health questionnaire accurately before participation in any class. This must be kept up to date of any changes to the answers. a) Always seek the advice of your physician or other qualified health professional before starting or changing any exercise program or making a lifestyle change – especially if you are overweight, pregnant, nursing, regularly taking medications, or have any existing medical conditions. Our site is not intended to provide medical advice or make medical diagnoses and any Materials on this Site may not be tailored to match your energy, health or fitness level. Please first consult a medical professional if you are at all unsure that our services are suitable for you. The content on this site and our Services may involve strenuous exercise. Stop exercising and seek medical advice if you feel dizzy, faint, light-headed or if you experience any discomfort. Only you can monitor your condition during your workout. You are responsible for exercising within your limits and seeking attention and advice as appropriate. Never force or strain. Avoid alcohol and or heavy meals for 2 hours before classes. Drink fluids (preferably water) before, during and after classes. Remember, ultimately, your health is your responsibility and you participate at your own risk. 19. Warranties and Disclaimer a) Our services are provided ‘as is’ and on an ‘as available’ basis without any representation or endorsement of any kind. To the fullest extent permitted by applicable law, we disclaim all warranties, conditions and other Terms of any kind, express or implied, in connection with our Services and your use of our Services (including, without limitation, as to satisfactory quality, fitness for a particular purpose, non-infringement, compatibility, security and accuracy). b) We do not warrant that the functions contained in any Materials on our Services will be uninterrupted or error-free, that defects will be corrected or that our Services or the servers that makes them available are free of viruses or bugs. c) Raising Kundalini may suspend the operation of the Site for repair or maintenance work or in order to update or upgrade the contents or functionality of the Site from time to time. Access to or use of the Site or any Sites or pages linked to it will be not necessarily be uninterrupted or error free. d) Raising Kundalini may terminate the Service immediately in the event you breach any of these terms and conditions or do not pay any sums due to Raising Kundalini (including if the credit/debit card you use is not valid or does not work for another reason). 20. Third Party Links We do not accept any liability in connection with any third party web sites which may be linked or accessible through our own web site and we do not endorse or approve the contents of any such site. 21. Sponsorship & Advertising Parts of or all of the Services may sometimes contain sponsorship & advertising. Advertisers and sponsors are responsible for ensuring that any submitted content on our Services comply with relevant laws, regulations and codes and these Terms. We are not responsible for any of the content in these advertising or sponsorship materials. 22. Different/ Temporary Terms From time to time our Site may contain terms and conditions of use which are in addition or different to these Terms and Conditions (e.g. for certain promotions or special premium content for certain consenting users who allow sponsors to share their personal information). The additional and/or different terms and conditions of use will govern with respect to those specific pages or sections to which they apply only. a) If any of these Terms are determined to be illegal, invalid or otherwise unenforceable by reason of the laws of any state or country in which these Terms are intended to be effective, then it shall be severed and deleted from these Terms and the remaining Terms shall survive, remain in full force and effect and continue to be binding and enforceable. 2.	Who is Raising Kundalini? 3. When do we collect your personal information? 4. What personal information do we collect? 8.	Who do we share your personal information with? Raising Kundalini complies with their obligations under the General Data Protection Regulation (GDPR) by keeping personal data up to date; by storing (and destroying it) securely; by not collecting or retaining excessive amounts of data; by protecting personal data from loss, misuse, unauthorised access and disclosure and by ensuring that appropriate technical measures are in place to protect personal data. Raising Kundalini is committed to ensuring that your privacy is protected. Should we ask you to provide certain information by which you can be identified when using this website, then you can be assured that it will only be used in accordance with this privacy statement. 2. Who is Raising Kundalini? Raising Kundalini is the trading name of Emma Wall. 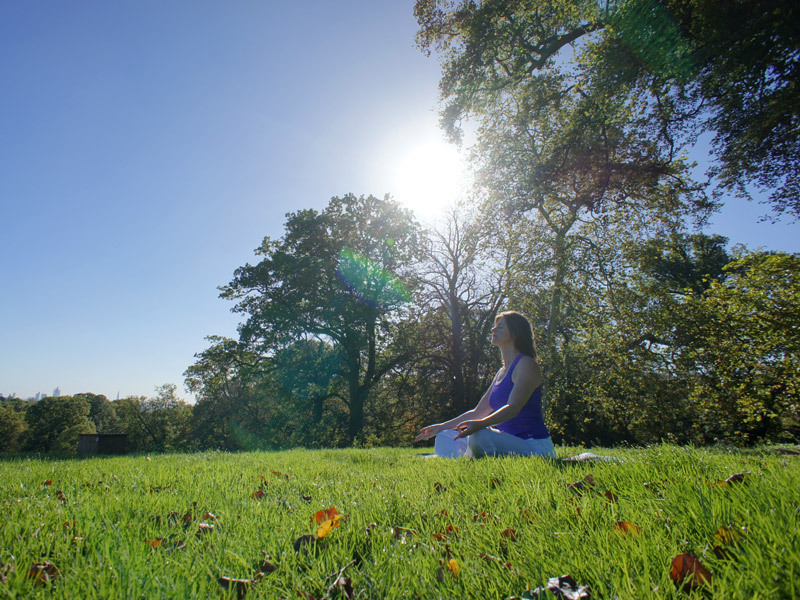 We provide kundalini yoga classes in Hertfordshire and north London. 3. When do we collect your personal information? •	When you sign up to our newsletter. •	When you sign up to our newsletter we will collect your name and email address. Anonymous data about your use of our website via cookies in your web browser. Read more about cookies below. •	To respond to your queries, feedback, refund requests and complaints as well as to record your attendance history and health issues. •	We may also keep a record of any communication with you in order to inform future responses to you. •	To contact you about your bookings or purchases with us. •	With your consent, we may use your personal information for notifying you via email of special offers, products or services we think may be of interest for you. •	To comply with our legal obligations to share your personal information with Law enforcement should a valid request be received. •	To send you feedback requests to help improve our products and services. •	Mailchimp – to send you special offers, products or services via email marketing. •	Access to the personal information we hold about you. •	Correction of your personal information if incorrect or out of date. •	That we stop using your personal information for marketing purposes. You have the right to request a copy of the information we hold about you at any time. If you would like a copy of some or all of your personal information, please email info@raisingkundalini.co.uk or write to us at Raising Kundalini, 17 Chambersbury Lane, Hemel Hempstead, HP3 8AY. If you have consented to receive marketing from us, you may opt out at anytime by following the unsubscribe instructions in any marketing email received. Raising Kundalini may change this policy from time to time by updating this page. You should check this page intermittently to ensure that you are happy with any changes. This policy is effective from December 2018. Or by writing to us at Raising Kundalini, 17 Chambersbury Lane, Hemel Hempstead, HP3 8AY. A cookie is a small text file that a website saves on your computer or mobile device when you visit a website. It enables the website to remember your actions and preferences (such as login, language, font size and other display preferences) over a period of time, so you don’t have to keep re-entering them whenever you come back to the site or browse from one page to another. Cookies allow web applications to respond to you as an individual. We use persistent (or permanent) cookies on this site to remember your preferences and settings such as whether you have signed up to our newsletter and whether you have chosen to accept cookies. We also use them to analyse web traffic on our site. Third party cookies are used on this site to monitor the use of our website and integrate this use with the third party websites. These cookies are set by the third parties involved (Google, Facebook, and Mailchimp) and are governed by the cookie policies of the websites that place them. You can set your browser not to accept cookies and the further information links above explain how to remove cookies from your browser. However, if you choose not to accept cookies, some of our website features may not function as a result.